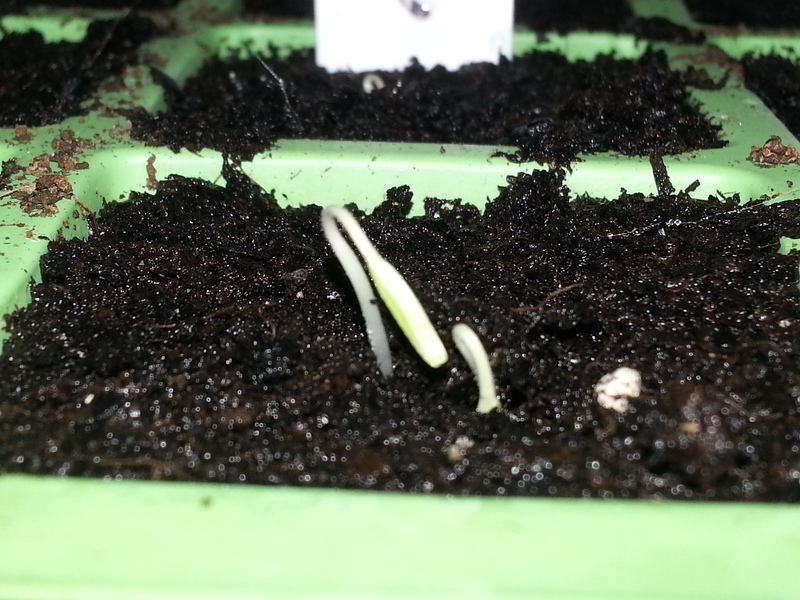 It was only 4 days ago that the Tomato seeds were trayed up and we already have germination! This stage is my favorite stage of the whole gardening process. .. when seeds first sprout I find it amazing to watch how quickly they grow and change while developing their first leaves. They are currently sitting on the warming mat and today I switched on the LED lights above. I’m not really sure that this kind of lighting actually helps the sprouts develop – but I’m it does no harm. 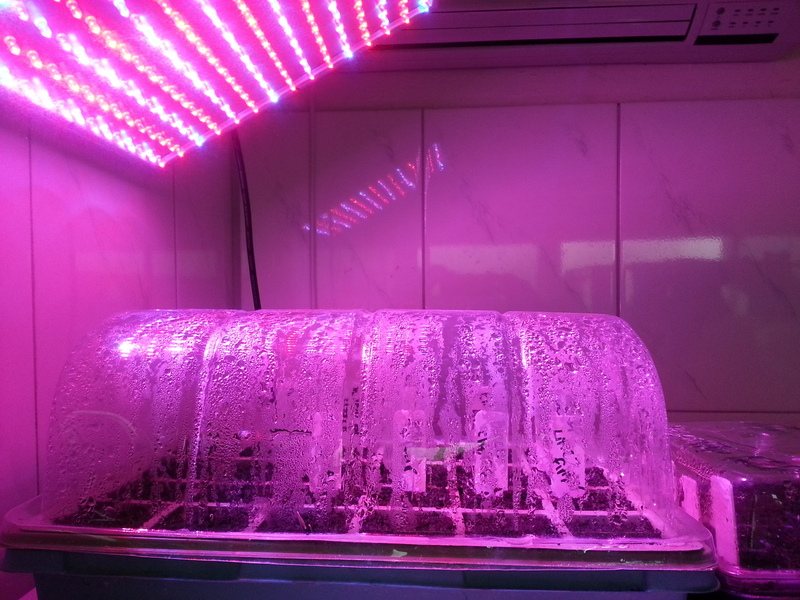 Does any have any advice on indoor ‘grow’ lighting – obviously small scale…. Here are some pics of the sprouts that emerged overnight. Ill update this gallery as the sprouts continue to grow. I get lots of seeds from e-bay but this tray also contains varieties that purchased from The New Gippsland Seed Farm and from Diggers Club. Both have a great range of heirloom tomatoes. Check out the Diggers Club site for good descriptions of all the many varieties they stock – be warned though: its so hard to choose! !